Georgia -- The sudden death of Augustus Bushnell occurred Saturday night at 10 0’clock. Mr. Bushnell was 73 years old, and always lived on the farm where he died. He was a veteran of the Civil war, member of the G.A.R., leader of the Georgia band, and a respected citizen. 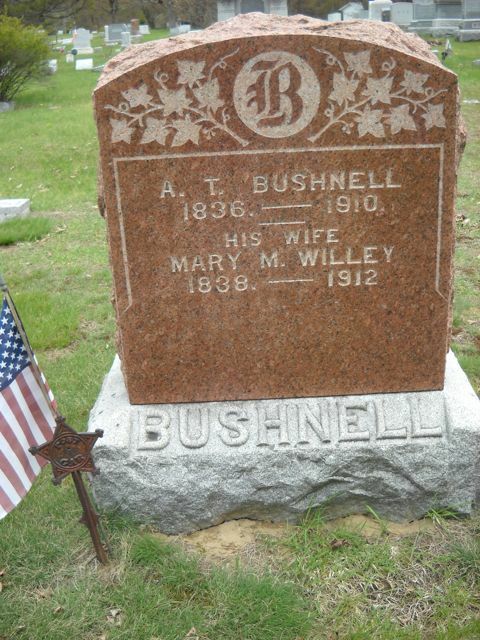 He leaves a wife, Mary (Willey) Bushnell, two sons, Wilbur and Titus, of this town, and several grandchildren. The funeral was held at the house Monday.